From the VZ Navigator home screen, tap the Menu icon (ubicado en la parte superior derecha). 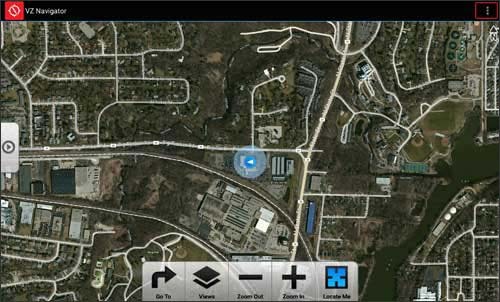 From the Map Tray screen, tap the Dropdown menu next to the desired field (1, 2, 3, 4), configure as preferred then tap Done. 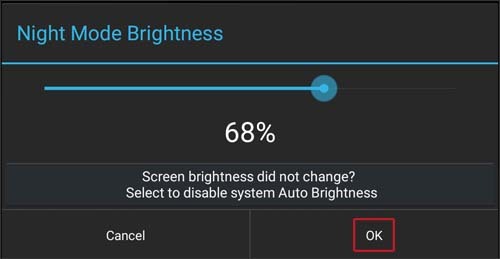 From the Night Mode Brightness prompt, slide the dot left or right then tap OK.